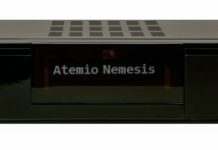 The HD 6200 Atemio AM decoder is a full HD receiver with open source Linux operating system E2 and powerful new BCM7362 dual processor thread. Table convinced by the memory of 512 MB Flash, fast zapping and high image quality. 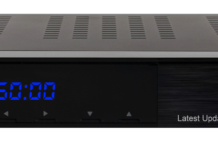 AM 6200 HD offers the best quality and features at a fair price. Enables reception of digital satellite programs in the best picture in SD and HD. E2 The Linux open source operating system offers the general adaptability of different UI skins install various plugins and settings that can be easily installed by the large flash memory. The boot loader has to be installed twice! USB problem with 2.5 “hard disks fixed! Current bootloader for the AM 6200 HD! Update of all satellite stations lists incl. The new Sky frequencies.